The Genesis, offered in both scandi and flat ground, is a bush knife that really likes to work. 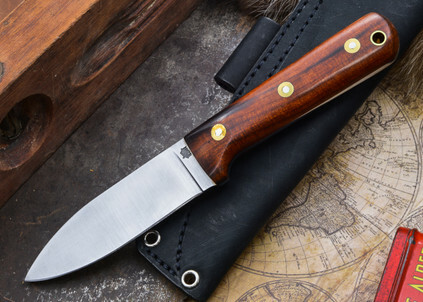 A knife made with handles of resilient materials like Micarta and Arizona Desert Ironwood, all combined with heavy duty hardware, the Genesis is sure to get the job done! 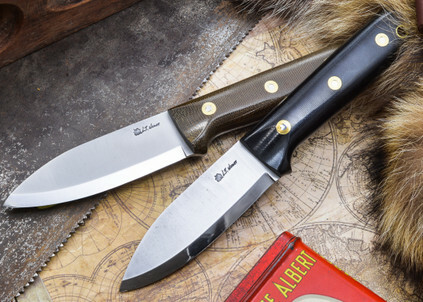 One aspect we like most about these knives is that L.T. Wright takes the time to do the little things, such as making sure the epoxy isn't just on the scales, but around every bit of the hardware--including the threads of the brass nut. And should you find yourself needing a tinder bundle scraped off a branch or striking a ferro rod off, the 90° spine will allow you to save the blade for fine cutting tasks. Additional features include thumb scallops on each side allowing more comfortable control doing close up work.